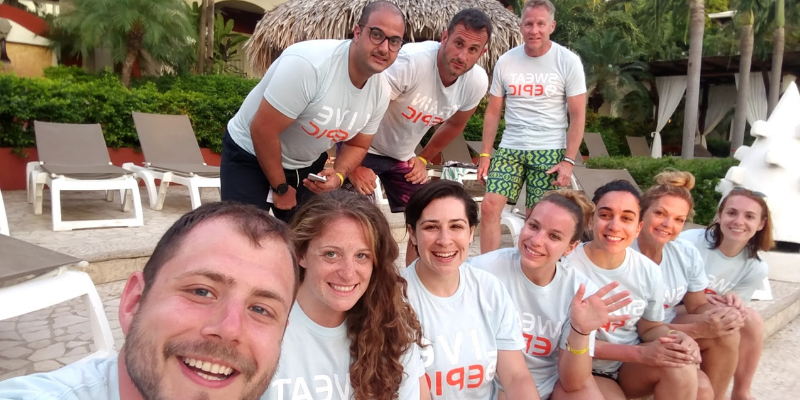 "Going on this retreat was the eye opener that encouraged me to take the leap of faith and follow my passion in the health and wellness industry!" I chose to go on the fitness retreat to Costa Rica at a time that I was seeking something more with my current life situation. At the time I was working at a "9-5" marketing job and had a strong passion for health and fitness. I was desperate for an escape from reality and came across Ketanga's Fitness treat and was instantly intrigued. While I was nervous to travel alone, I was eager to connect with like-minded individuals and explore a new country. The trip exceeded my expectations! I was able to enjoy the perfect balance of working out and play while connecting and learning from individuals from all over the country. The benefits are endless! It was the perfect combination of learn, relax, and play. I got to explore a new country, meet new people, and learn new things about the fitness industry. I still stay in touch with people from my retreat over a year ago. It was also a different way to view "fitness" whereas for me that was typically within the walls of a gym. I learned that I am not as good at surfing as I thought I would be, but with that said, I am proud of myself for trying! I also zip-lined through the rain forest for the first time, which I knew was part of the trip (thanks Stacy for the well-organized itinerary!) so while it wasn't a surprise, I realized that I am not as afraid of heights as I thought. Really putting myself in an uncomfortable position is the hardest struggle but once I am there, I can typically figure things out. I feel like I took this lesson with me on my career transition. ​Interestingly, going on this retreat was the eye opener that encouraged me to take the leap of faith and follow my passion in the health and wellness industry. I had my personal training certification and had been exploring training/coaching jobs but had not fully pulled the trigger in leaving my current corporate job. I knew I eventually wanted to work in the industry and thought maybe I could still keep my corporate job and train on the side but the reality was I would never be able to put 100% into my career if I spread myself too thin. The fitness retreat was like a mental detox for me and I was able to really take time and think about what I wanted to do with my future. I was also inspired by conversations I had with other members on the retreat. I knew I wanted to help people become better versions of themselves physically and mentally and I knew that my current career didn't align with that. ​Shortly after my return home, I was offered two positions in the fitness industry, a personal training role at a local all women's gym and a group exercise coaching job at a separate studio. When I was faced with the decision to either keep my "comfortable" job or become a trainer full time I honestly panicked. What if I fail as a trainer? 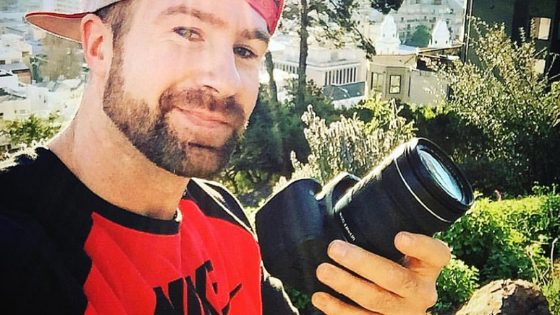 What if others judge me for quitting my job? Then reality set in that if I don't try at all then I am already setting myself up for failure. I gave my two weeks notice, took both jobs, and got to work. I knew I wanted to help people but didn't realize the type of trainer/coach I would be until I started. 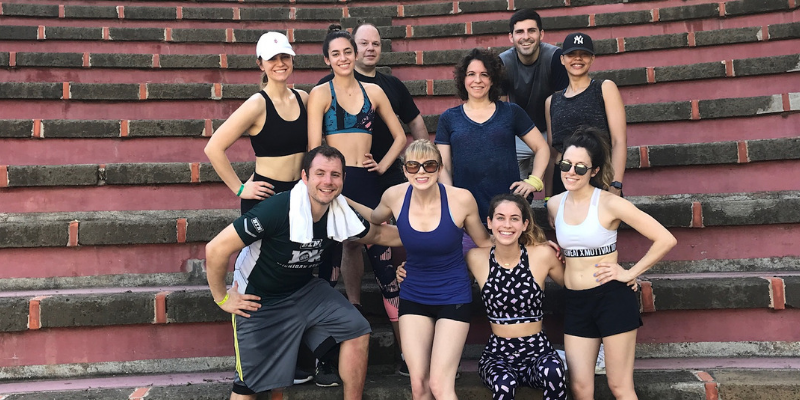 After a year of working at both gyms I found myself thriving at my group exercise studio, Orangetheory Fitness, and eventually transitioned to coaching full time there and taking on a management role as a Community Manager. I still offer personal training independently but my primary role is coaching and helping build our studio community through social media marketing and community events. I've been able to take my marketing skills full circle and apply it to something I am passionate about. With that said, my goal at this point is to continue to help as many people as possible succeed in their health and fitness journey's whether they are a personal client, member at Orangetheory, family, friend, or social media follower. I believe there is not a "one size fits all" approach to fitness and I want to help people find a sustainable method to a healthy lifestyle. The fact that I was taking the trip as an "escape from reality" was the first sign that if I need to escape from my reality, I need to change it! After meeting with the coaches on the retreat and the owner Stacy, I realized that working in this industry is a reality that is NOT out of reach for me. I talked with a lot of different people from various fitness backgrounds and it motivated me to dive deeper. I learned that people use fitness for different reasons and I wanted to be a part of helping people develop the right fitness lifestyles for them. I am not sure I would have been as confident making the career change I did if it wasn't for the discussions I had with the participants, coaches, and owner on this retreat. To learn more about Amanda's coaching visit www.amandajwellness.com and her Instagram @AmandWoolf. 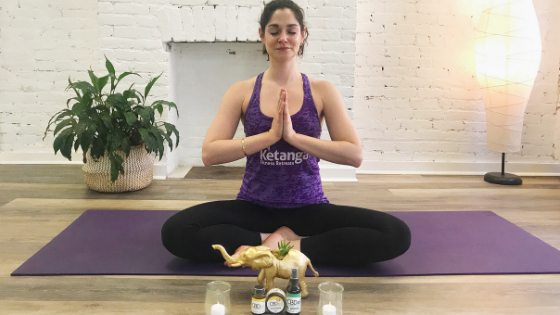 ​Check out Ketanga's upcoming retreats here or sign up below to join the email list and be the first to hear about new trips, inspiring stories and fitness & travel tips! 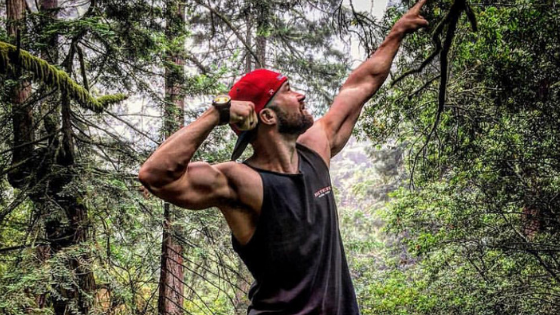 "In the last two years, I have moved away from a place I lived for 8 years, quit my steady salaried job and started a healthy meal prepping business. I truly do not think I would have reached this point without the time away from my daily life and connections I made on my two Ketanga retreats." I'm Zach, and I've gone on two Ketanga retreats in Costa Rica the last two years and both trips were fun, active, and (literally) life-changing. Thanks to the inspiration from my Ketanga adventures, I left a job, moved to another state and started a business. ​In January 2017, I was killing time at work and stumbled on a random Thrillist article that mentioned Ketanga. I got more and more excited reading about a company that could take me on a wild journey to a far-away land. I could join a dozen other strangers for a week in the middle of Costa Rica. And it wouldn't be a week of beach sitting and margarita drinking, but of boxing, yoga, interval training, hiking, surfing and exploring. As a die-hard Survivor fan, this seemed like the perfect way to scratch that adventure itch. When I wasn't able to convince any of my travel-loving friends to come along, I got discouraged that it may be weird to attend a retreat solo. I emailed Ketanga's CEO Stacy and she told me that plenty of travelers go on retreats alone, and because there are so many planned activities, it's a great way to meet people. I was in! In April 2017, I attended my first retreat, the Epic Fitness Scavenger Hunt. Wowza did that week live up to its name! Even though the retreat was only 5 days, it felt like we packed a month's worth of experiences into it. Our highly motivating coaches from Epic Hybrid Fitness gyms kept us engaged and busy. 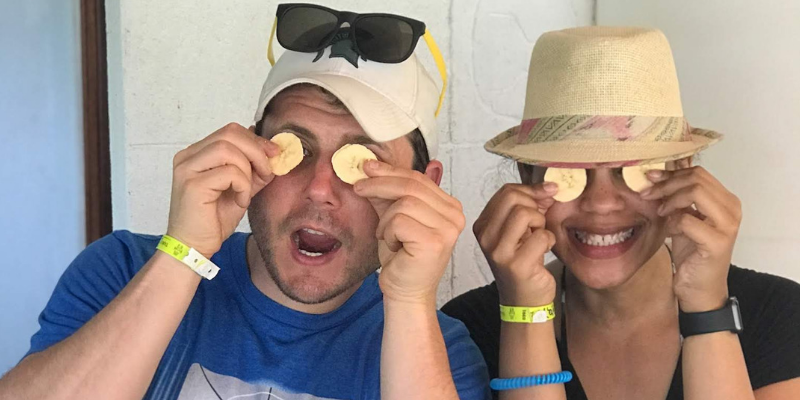 In addition to workouts and activities, we spent our days in Tamarindo completing all kinds of crazy tasks to try and win the scavenger hunt. Who would have pictured me serenading a family eating their lunch on the beach, or teaching kids how to do one of Epic Fitness' signature exercises? And my concerns about going on a retreat alone were quickly quelled. Almost everyone on the trip traveled solo as well and it was so great to spend a vacation with other fitness junkies from all over the US. I still keep in touch with many of them today! After each of my retreats, I ended up making big changes! My first retreat was so eye-opening that I decided to uproot my life. At the time, I was working in nonprofit communications in DC and had been for about 8 years. After spending the week away and getting to know so many people with interesting stories and goals, I decided I was ready for a change too. Soon after I got back to DC, I let my employer and roommates know I would be leaving in the next few months. I wasn't sure where I was going to land, but I knew I was ready to add some adventure to my life and spice things up. I moved back home to Michigan to figure out what was next. During that time, I focused on my own goals and interests to plan for my future. I took more time to read, try new things and travel. 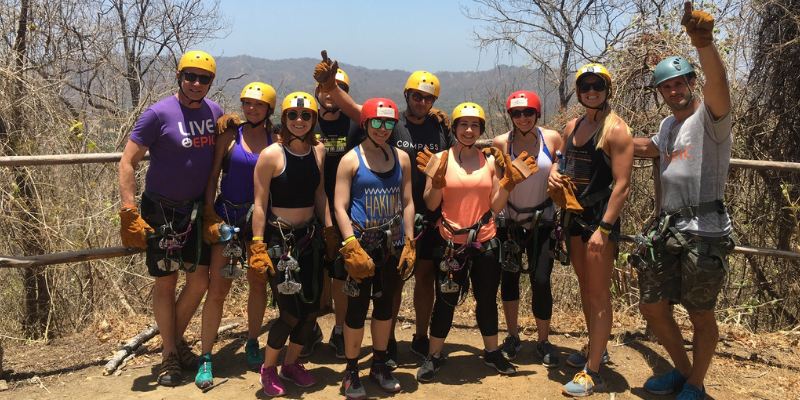 In late 2017, Stacy told me about a chance to return to Costa Rica for the upcoming Fitness, Food and Fun Retreat. The timing was right and I love cooking and eating healthy food. 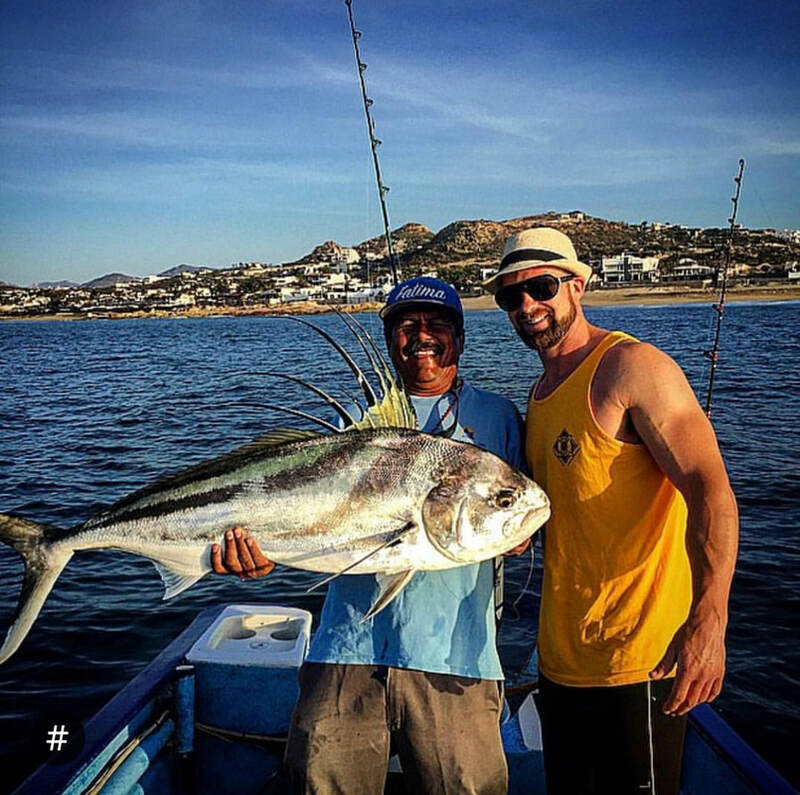 In February, I made my voyage back to Tamarindo. I like to think my first retreat was Phase One of my "quarter life crisis" and Fitness, Food and Fun was Phase Two. Our coach Alyssa is the Meal Prep Chef and she started her company crafting home-cooked meals for New Yorkers. Before that trip, I always thought about healthy cooking as a hobby. I had never thought it could be a career option too. And this retreat was the perfect opportunity to learn more about food and hone my own skills and recipes. I returned to Michigan inspired and passionate about the food I ate and lessons I learned. I was also inspired to bring my love of healthy meals to people in my community. Once I got settled back in Michigan, I started putting serious time and thought into how I could make this passion a reality. After months of planning, test cooking and brainstorming, I launched Literally Homemade, an in-home meal prep company in East Lansing, Michigan, to help local individuals and families eat nutritious food more easily. In addition to the inspiration to start Literally Homemade, I also had another had a personal wellness change. One of the good friends I made on retreat #2 had recently gone vegan. She raved about her new dietary change and after talking with her during and after our time in Costa Rica, I decided to try it myself. A few months later I did VeganApril: one month meat, dairy and egg-free. I love a good challenge, and the endpoint made the goal feel achievable.I started the month fully expecting to do my 30 days and then go back to my normal diet, but I couldn't believe how much I enjoyed it. I felt healthier and veganism allowed me to be even more experimental in the kitchen. When May rolled around, I decided to stay vegan. Now, I'm still eating vegan and I love vegan cooking. While I don't cook exclusively vegan for my Literally Homemade clients, I'm hoping I can inspire others to try plant-based meals once in a while and pay forward some of the inspiration I got from my Ketanga retreat. I don't know if everyone will have the dramatic life changes that I had after my retreats, but everyone I've traveled with has had tremendous benefits from their Ketanga adventure. It's a great way to try new activities, kickstart your own fitness goals and get away to an amazing destination. I've become close with people who live all around the country and I love how we can stay in touch and chat about fitness or our lives. Plus I have new workouts and recipes from my coaches! If you would have told me even a year ago that I'd have gone vegan, I would have called you crazy! I also learned to be more comfortable doing things by myself, without having to rely on a friend wanting to do the same activity. Ketanga Retreats are a great way to break into solo travel. It's really hard to choose from the food, the people, the workouts, beautiful Tamarindo. But my I will always remember the Pool Olympics workout on the last night of the Scavenger Hunt retreat. It was a great combo of celebration, physical activity and fun that totally capped off our week together. I believe travel is good for the soul, especially travel focused on wellness! And I'm thankful for Ketanga for making it possible. To learn more about Zach's meal prep company, visit literallyhomemade.com and his instagram, @brooksza. Check out Ketanga's upcoming retreats here or sign up below to join the email list and be the first to hear about new trips, inspiring stories and fitness & travel tips! 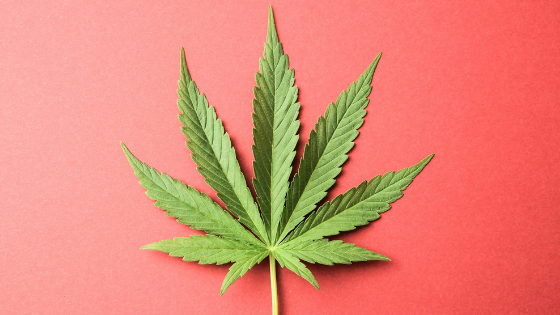 What do yoga, meditation and cannabis have in common? And what happens when you combine all three on a retreat? Led by Rebecca Weible, founder of Yo Yoga! studio in NYC, this May 3-6 getaway is designed to provide education, discovery and a fun time in a safe and legal environment. 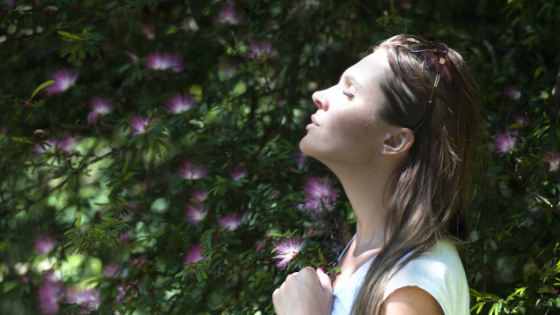 Already experiencing expected backlash about combining 'weed and wellness', we wanted to bring Rebecca to the forefront and let her share her reasons why this retreat is meaningful for her and what to really expect if you join. Some people think cannabis is used for tuning out reality, but this retreat will shed light on how both yoga and cannabis are tools for tuning into the present moment and our inner selves when used with cognizance and purpose. It's no surprise that cannabis is controversial right now, as is combining it with yoga. I'm sure this concept is making some of you see red. I understand and deeply respect everyone’s right to an opinion. We could go back and forth with the facts we choose to believe in order to support our opinions and beliefs but at the end of that, I will still be offering this retreat and you will still not be planning on attending it. So, let’s agree to disagree and to not judge each other. I will be the first to state that you certainly do not need to smoke weed to have a deep and spiritual yoga practice. That said, the effects of yoga and cannabis practices are remarkably similar. The most notable difference is that the effects of cannabis impact us with more immediacy. This is the key in understanding how cannabis and yoga are complementary. Using cannabis, mindfully and with intention, puts us in a meditative state and by practicing yoga in this enhanced state, we can explore that mind and body connection even more deeply because we do not have to cut through pervasive stress and tension first. We can refine the experience of being in the present moment. Yes, an integral part of the yoga experience is the journey - the work, effort and intention we dedicate to finding our higher selves cannot be replaced with cannabis. I’m not suggesting we use it as a shortcut. What I’m suggesting is that cannabis can be a part of that ongoing journey. I designed my upcoming retreat, Cannamaste: Yoga & Cannabis Retreat, for those who are interested in this experience. So, who am I and why am I qualified to lead such a retreat? In my 13 years of practicing yoga, 10 years of teaching it and 15-ish years of using cannabis, I’ve been delighted to watch how two of my passions fertilized each other. With legalization on the rise, it finally seems like the right time to bring this blend to my students. Even though I have plenty of experience with both, I attended a Ganja Yoga Teacher Training in L.A. this fall to learn more, mingle with like-minded teachers and flush out my plans for bringing enhanced yoga to my community. I went a step further and became certified in teaching Ganja Yoga to help lend credibility and professionalism to this endeavor. 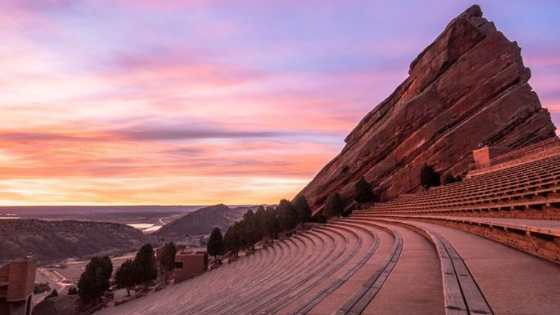 Cannamaste will help dispel the stereotype that stoners are lazy couch potatoes as each day is full of activities like hiking, a cooking with cannabis class, dinners out on the town and a yoga class on the famous Red Rocks Amphitheater steps. You don’t need to be a ‘stoner’ to come on this retreat but I recommend being open-minded in regards to both learning about cannabis and to the cannabis practices of your fellow retreat participants. To achieve a well-rounded yoga experience on this trip we’ll have both sober practices and cannabis-enhanced practices. We’ll be practicing regular vinyasa classes each morning and enhanced classes each evening. Participants can certainly opt out of cannabis use at any time...or opt in and enhance any activities of their choosing on this trip. Cannabis education is a theme on this retreat in order to highlight some of the many wellness benefits that it can offer, like anxiety and pain relief, cancer- and alzheimer’s-fighting properties, and to help cultivate mindfulness and intention in your usage. This trip is not only about how cannabis can affect your yoga practice, but how the mindfulness we cultivate through our regular yoga practice can help inform the intention we set for our cannabis habit. Our yoga practice can help us stay aware of when and why we are using cannabis so that with each sesh we can truly absorb the benefits and prevent it from becoming a mindless habit. Additionally, cannabis knowledge among regular users is highly important (this pun was unintentional but I’m leaving it!) as legalization rolls across the country because we can help set the standards for this young industry by demanding safe, high-quality, organic plants and products. What I’m most looking forward to about this retreat is socializing with other like-minded yogis and sharing what I’ve learned about using yoga and weed together in a legal and judgement-free environment. Join me in Denver to learn how smoking can help us tune in instead of tuning out. I signed up for my first trip to Costa Rica for fitness and adventure, but I ended up getting a lot more - it led to a big change in my life. I had been a licensed social worker for more than 10 years. I loved working in various areas of the field, including clinical therapy and nonprofit management, but I did not have a sense of fulfillment. I wanted more. I wanted to help people become their best self in a way that wasn’t quite under the traditional social work umbrella. ​At the time, in 2015, I was a fitness enthusiast who just loved to workout in my free time. I was looking for inspiration, and I decided to take a risk, step outside my comfort zone, and book a solo trip to Costa Rica through Ketanga Fitness Retreats. My first Ketanga trip was to Costa Rica with Coach Curtis Williams, and it was amazing!! I loved everything the retreat had to offer from morning and evening workouts, to food, to zip lining, surfing and more. 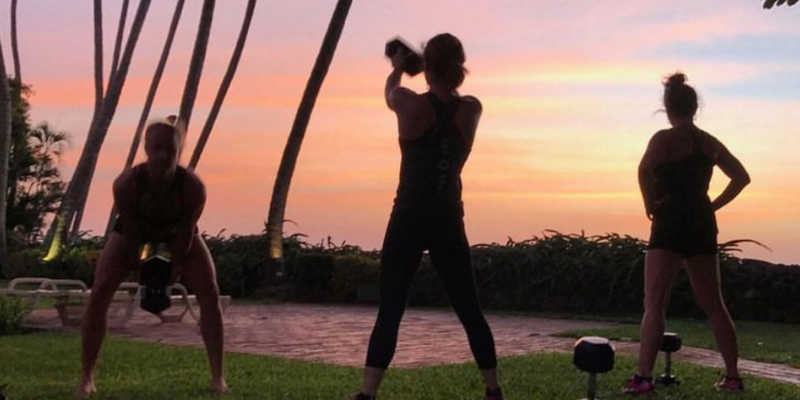 It’s was a fitness vacation filled with both high-intensity and low-impact workouts, delicious food, and fun activities. Plus, it allowed me to see a different country that I would have never thought to visit on my own. The following year, I signed up for a totally different type of Ketanga retreat, one just a few hours away by car in the Hamptons, NY. 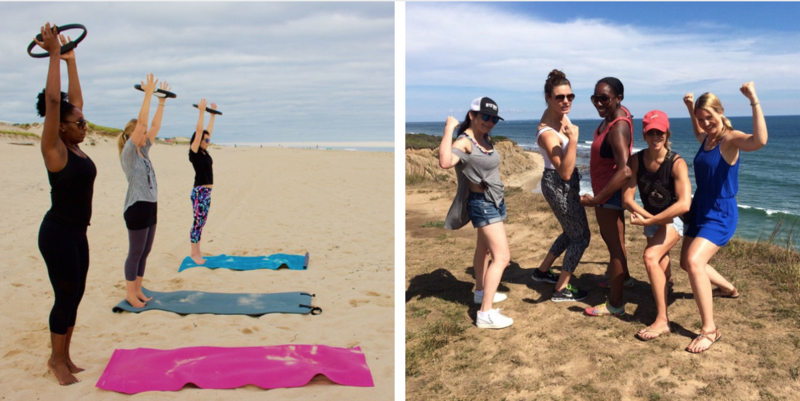 The weekend trip with Coach Kelly Keesler was a combination of beachfront Pilates, local dining and enjoying a small group atmosphere (away from the traditional craziness and partying of the Hamptons!). My most unforgettable experience is the 5-mile bike tour that unexpectedly turned into a 12-mile adventure! One of the biggest surprises I learned about myself during the retreats is how much I love nature. I’ve always loved water but to go hiking and see open land with all of the beauty that nature has to offer is therapeutic within itself. To be grounded and rooted in nature is truly amazing and has stayed with me since then. Shortly after my first trip with Ketanga I decided to follow my heart and what made me happy—become a fitness instructor. I figured out I could take my invaluable skills/tools as a social worker combine them with fitness to impact lives in the fitness and wellness arena! Currently, I am fulfilling my dream as a group fitness instructor at Equinox throughout New York City, a personal trainer and, most recently, a doula! So, why join Ketanga on an adventure? For me, the benefits of signing up for a retreat are relaxation and the ability to unplug from the daily grind. In this busy and over-stimulating world we may take recovery for granted. Self love and self care come in many forms. Signing up for a retreat enforces this love and care by giving people a chance to recharge the batteries that often run on empty. Plus, you may get inspiration in the most unexpected ways... and your life may take a wonderful turn from it, like it did for me! 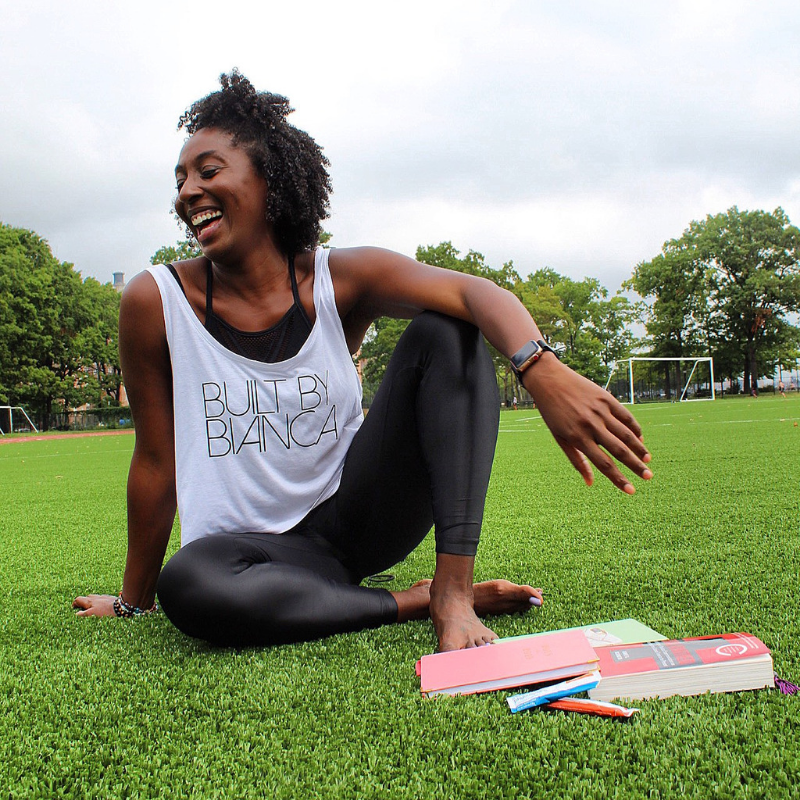 To learn more about Bianca, her fitness classes and doula services, you can visit www.BiancaCrystal.com or follow her on Instagram @_biancacrystal.